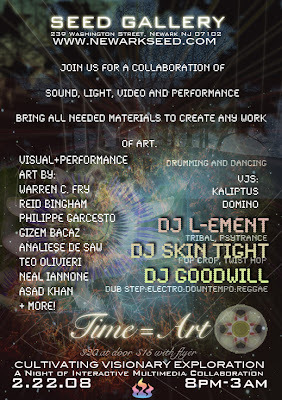 If you are in the area or are free on a Friday night head on over to the gallery and party!!! 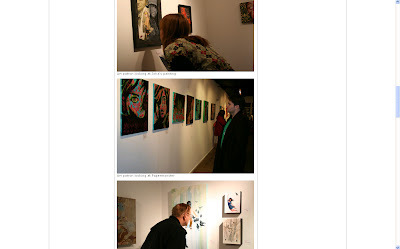 Here are some pictures of the hanging. Will be a great show!! 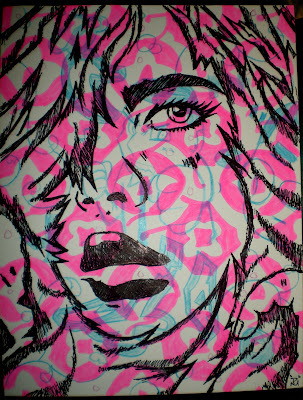 This is a new stencil that I have been working on. It is so powerful. I will be making new sticker with just a black and white image of the foreground stencil. Gezim provided me a perfect space. 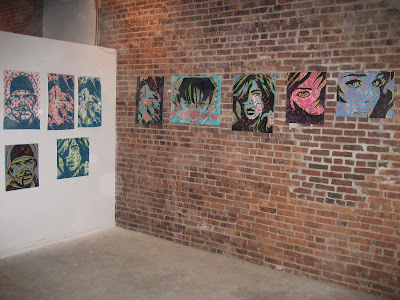 As soon as you enter the gallery BAMN side right wall. 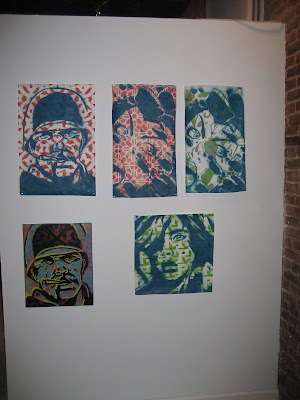 These are four prints that I put together. All unique and 1 of 1, with each using an unique pattern. The canvas of the general is also new and it looks amazing up close. 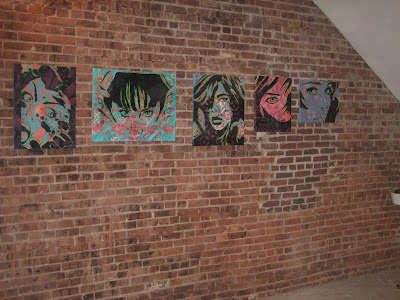 Hanging paintings on brick is so hard. Especially when you bang your finger with a hammer. They have events and a ton of other amazing projects going on. They work incredibly hard and it shows. Thanks again to Nema. 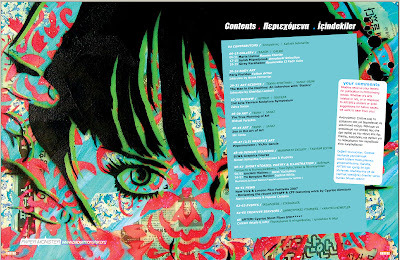 The layout of the magazine is fantastic. 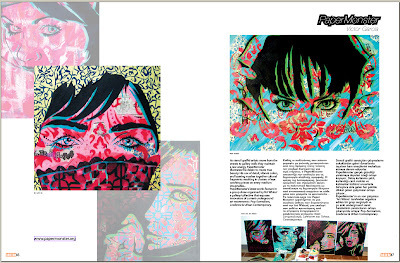 Two page profile on PaperMonster. January was a wild month. 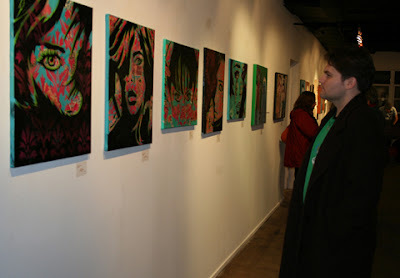 The show at Art Whino was fantastic and it was great meeting a ton of people. 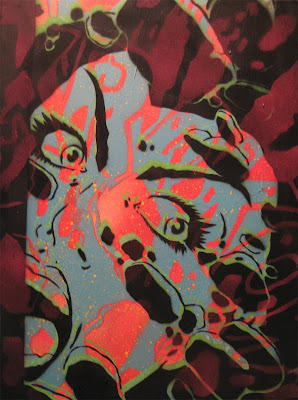 They have posted the online store w/ 4 paintings that are still up for sale. 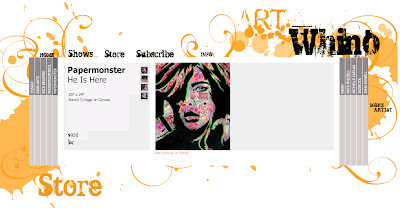 You can check them out here (www.artwhino.com) Click on Store and then on the name PaperMonster. There are a lot of exciting projects in the works; new clothing and other products with some amazing designs, shows, magazines, fashion shoots, and new videos!!! March and April are looking to be stacked months with several projects in progress. 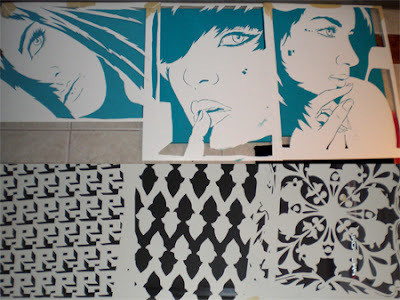 Here is a preview of several new stencils both of women and backgrounds. Stay tuned for more news!! 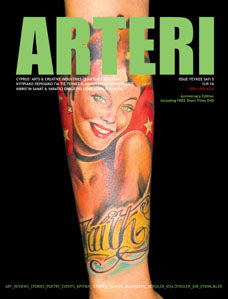 Russell over at StencilArchive.org (link) posted the gallery opening video on his updated site!! You should check his site out. He is truly dedicated and is a man of great knowledge. 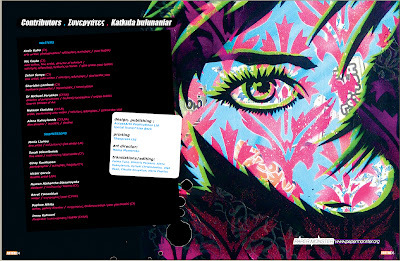 You are currently browsing the PaperMonster Stencil Graffiti Artist blog archives for February, 2008.